Oh yes, I’m still reading Nancy Drew novels. As an adult with far too much literary criticism classes, reading them is a very different experience for me than it was as a kid. Then, reading these books was like watching action blockbusters – sure, in the back of my mind I knew they were silly and outlandish and there were better things I could be doing, but dammit I was having fun. Nowadays, the experience is a little different. 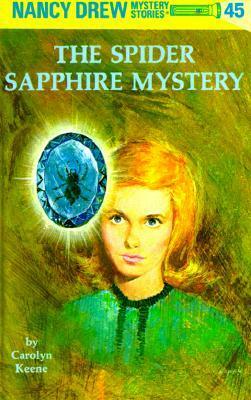 Reading Nancy Drew now is like watching a Mystery Science Theater short – one of those 1950’s informational ones on personal grooming or careers for ladies. Now the outlandish, outdated absurdity is brought forward into the harsh light of day, and I am suddenly aware of how stupid these books really are. But I still read them, because they’re still fun. The casual sexism and racism is just a bonus. Doesn’t that just sound swell? Safaris! Nice, grinning natives! Chartered planes! Musical comedy singalongs! WISECRACKING! Someone in this group needs to figure out that it’s the 60’s, and fast. Shrooms and rock music and premarital necking for everyone!